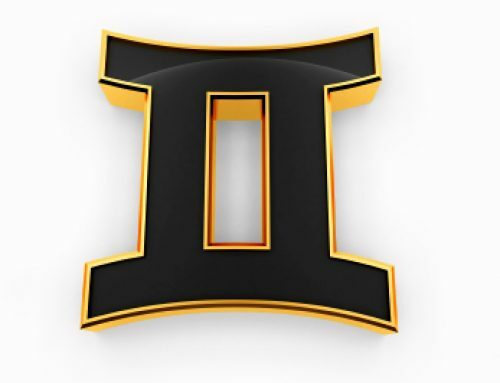 In the Gemini soul experience, the symbolic Taurus “Baby” enters into the world of the toddler-Child, and feels again, as on the Aries Infancy level, the positive, masculine Day Forces. 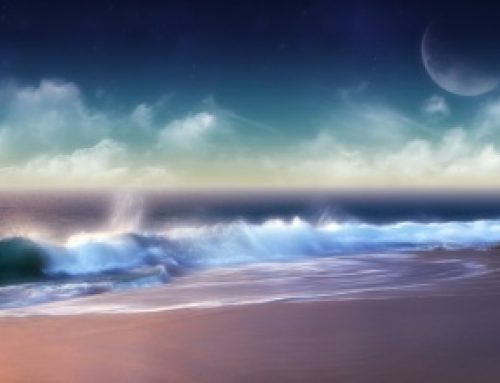 For the first time, the soul arrives at the stage of the Mutable Communicator, becoming conscious of its own mentality, aware that it is not alone in the Universe. 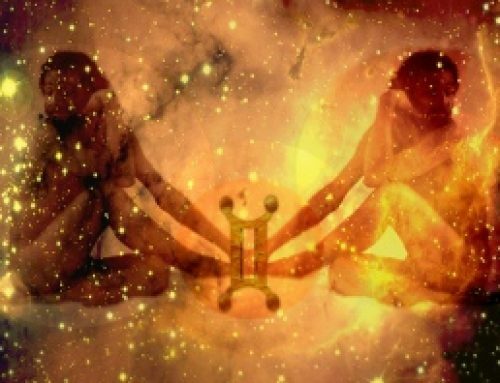 The Child soul of Gemini learns to communicate needs by speaking, by learning to form words and string them together, while the parents and others listen attentively, rejoicing at each new sound. Talking is fun because it centers all the interest on him (or her). There’s a new ability to crawl or toddle over to the cookie jar, without either the Aries yelling or the Taurus waiting, and this new-found independence is intoxicating. Geminis are thrilled by the knowledge now within grasp, and so “I THINK!” cries Gemini to the world-at-large, in great excitement. The symbolic Child level of consciousness teaches the Gemini soul that there are two sides to the character – a duality or polarity that must be brought into harmony before one can successfully relate to others. The first twinge of unhappiness pulls as he or she bumps hard into discipline, while trying to blend the sleeping and waking Twin Selves. Because Gemini suddenly longs for pleasures outside home and family, the Child soul is often punished for symbolically attempting to run out into dangers not yet suspected. 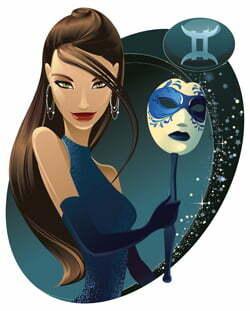 Likewise, the world invites Gemini men and women to explore it, and who knows what they may find out there! With the new mental ability to reason and deduce – to relateGemini begins to wish for and to dream of things beyond what has already been seen. Half the Gemini soul is still an insecure baby, needing the familiar. Halfis a yearning child, curious about the many undiscovered marvels just out of tang ible reach. The Geminian soul has already experienced Fire and Earth and is learning to cope with the Air Element for the first time. And so this twinned personality experiments, with bright eyes and a hopeful heart. 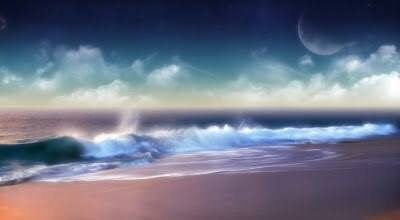 Each new day stirs Gemini’s mind with its hidden magic, more enticing now than the discarded toys and the warm circle of parental affection. 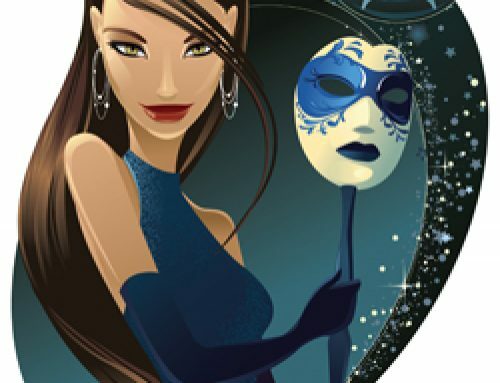 What the Gemini man or woman sees through the window is a forbidden Eden where all longings lie in mystery, as the ruling planet Mercury (the magician) beckons toward the seductive road beyond. 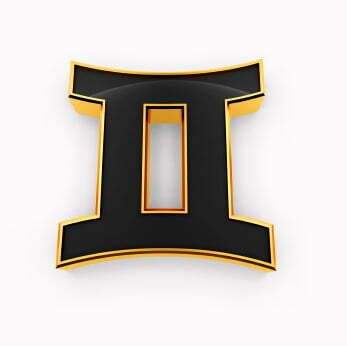 Gemini positive qualities are versatility, mental alertness, quickness of per-ception, deductive reasoning and flexibility. Expressed in their negative form they become restlessness, glibness, shallowness, double-talk, unreliability and self-deception. To the Gemini “Child,” love has lost some of its early wonder. It is still needed on this level, more than is realized, but there’s something more thrilling than love to seek now. Is it love that holds you back, tugs on one and keeps one from rushing out the front door into Life? 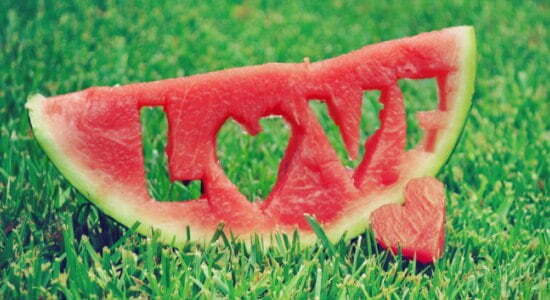 Love, then, is perhaps enjoyable, but it is also restrictive. 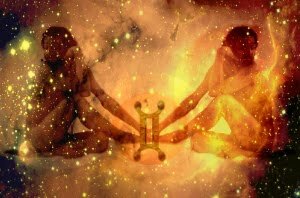 Gemini men and women have not stopped needing it or desiring it, but when love becomes a barrier to their freedom, they rashly discard it, forgetting its warmth and safety – not caring that they may get lost and be unable to find their way back home.